To take SC4's tutorial on how to print at SC4 Library, click on "How to Print." Image: "Writing 101: Finding Sources." Duke University Library, 4 Feb. 2018, https://guides.library.duke.edu/writing101/findingsources. ABC-CLIO Online History Award, with complete list of all previous winners, from 2005, 2007, 2009, 2011, 2013, and 2015: Doctor or Doctress? : Explore American history through the eyes of women physicians. The award, offered every other year, beginning in 2005, from the Reference and User Services Association (RUSA), a division of the American Library Association, seeks to encourage the development of freely available, sustainable online history resources by singling out innovative projects and the individuals who created them. Choice's Outstanding Academic Titles, 2014: Top 10 Internet Resources - Choice Outstanding Academic Titles (OAT). The Choice subject editors recognize the most significant titles reviewed each calendar year by compiling the “Outstanding Academic Titles” (OAT) list, which is published each January in Choice magazine and on Choice Reviews Online. As a special preview to the full 2014 list, which will appear in the January 2015 issue, the Choice subject editors have selected from among the 2014 list their favorites for the following “Top 25 Books” and “Top 10 Internet Resources” lists. Using Primary Sources on the Web. This brief guide from the Reference and User Services Association (RUSA), a division of the American Library Association, is designed to provide students and researchers with information to help them evaluate the internet sources and the quality of primary materials that can be found online. The Michigan eLibrary provides all Michigan residents with free access to online full-text articles, full-text books, digital images, and other valuable research information at any time via the Internet; and provide an easy-to-use interlibrary loan system to allow Michigan residents to borrow books and other library materials for free from participating Michigan libraries. WorldCat connects you to the collections and services of more than 10,000 libraries worldwide. You can search for popular books, music CDs and videos—all of the physical items you're used to getting from libraries. You can also discover many new kinds of digital content, such as downloadable audiobooks. Google can be a useful tool when searching. See the "Get More Out of Google Infographic" to learn strategies for becoming an expert "Googler". Many of these tips will also help you in searching SC4's databases for academic materials. 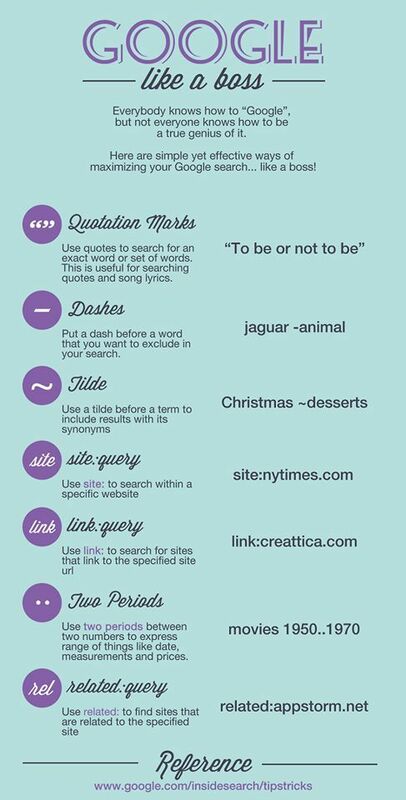 Image: "7 Simple Google Tips To Search Like A Boss." TeachThought, 20 Mar. 2016, https://www.teachthought.com/literacy/7-simple-google-tips-search-like-boss/.